complex characters whose choices lead to a surprising resolution. 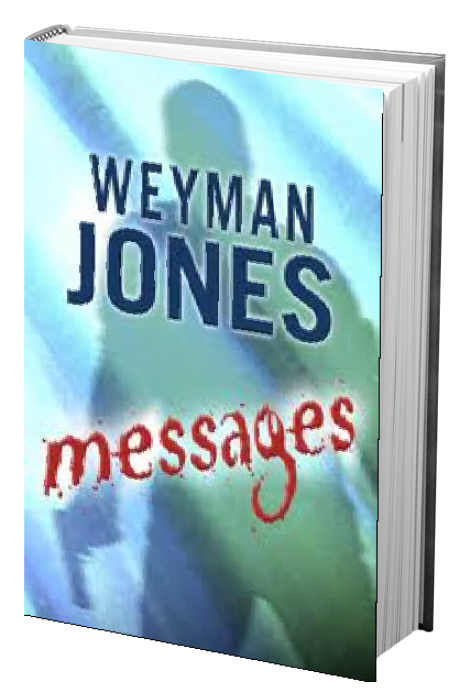 Obsession, revenge and message-by-murder drive the relentless action of Weyman Jones’s latest mystery/thriller. “A woman scorned” is convicted of the murder of her younger lover. The evidence is overwhelming. But her son believes the crime must have been committed by members of an animal rights group. His search for her vindication leads him to a Caribbean resort where a romantic encounter ends with another murder that sends the message: stop meddling. A detective sets a trap that backfires, producing a tense hostage crisis in which the murderer, his hostages and even the detective must each face his personal demon before the surprising conclusion. A boy falls from a building during an initiation ordeal and, after years in a coma, dies. His sister confronts four men during their twenty-fifth high school reunion. She suspects that they are responsible for her brother’s death, and she has filed a lawsuit against “person or persons unknown” for damages as the result of unlawful death. When the sister is murdered all four become suspects. Then one of them disappears, and the circle narrows. The narrator is contacted anonymously by the murderer. They meet back on the fatal roof. 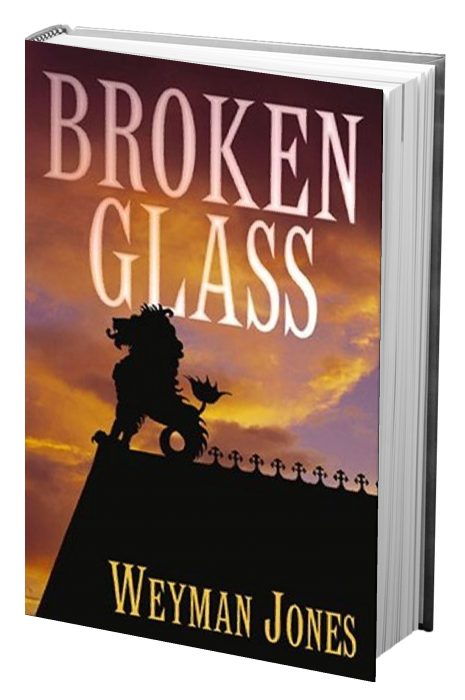 Powerful and disturbing, Weyman Jones’ novel Broken Glass tells a moving story of how the past can come back to hurt or heal those who have survived it. 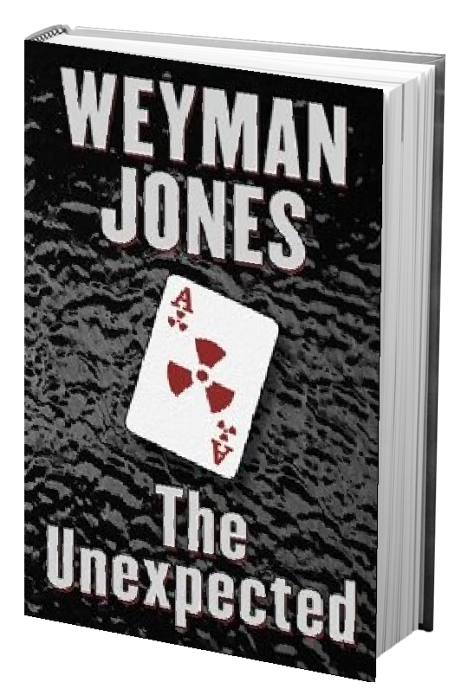 Weyman Jones lives in Long Island, New York. An ingenious scheme to deliver a blow to America more devastating than 9/11 develops into a taut thriller involving seduction, betrayal, murder and a desperate showdown in a storm at sea. A former combat pilot is trying to find a meaningful life after a failed marriage and forced retirement from the Navy. He becomes part of a high-tech search for lost Spanish treasure off Key West, Florida. A murder at a lavish party involves him with a boat gypsy who seems to have information about a treasure site, along with an exotic seductress who has a deadly agenda. He is attracted to a local divorcee, whom he inadvertently puts at risk before the action reaches its climax in a standoff at sea with hand weapons. 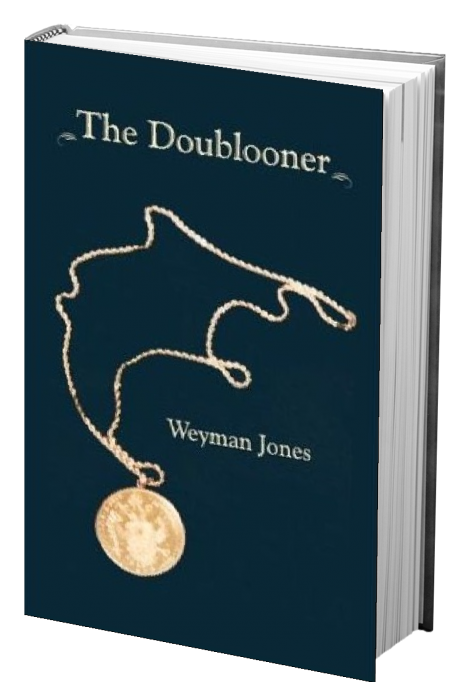 A writer of "power & imagination", Weyman Jones is author of 5 suspenseful novels: Doublooner, Broken Glass, The Unexpected, Messages and Evil in Return. I grew up in Oklahoma with family roots into the Cherokee nation. My honors thesis at Harvard was a study of Cherokee myth and folklore, and I drew on this research for two historical novels for young people about the Cherokee. Now I write mystery/suspense novels, and my latest returns to the Cherokee. I’m working on my next mystery/suspense novel in the coffee shops of Santa Barbara, California, where we now live.